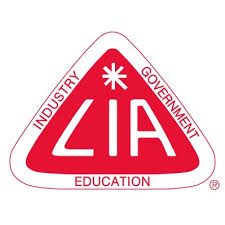 The Laser Institute of America (LIA) is announcing what to expect this fall at their annual conference. “This conference is going to quickly be recognized as a leading event for anyone involved with lasers and photonics in any of these four industries .” says Andrew Albritton, LIA Business Analyst. The Laser Institute of America (LIA) is announcing what to expect this fall at their annual conference. The four-day event will represent the following industry sectors on each day of the event: automotive, aerospace, microelectronics/ integrated circuits, and medical equipment/ biotechnology. Presentations and exhibitions will center around photonic materials processing technology, applications, and their impact on these industries each day. The event will promote solution driven innovations for each covered industry. This new super-conference will incorporate the best features of LIA’s primary applications events: the International Congress on Applications of Lasers and Electro-Optics (ICALEO), Laser Additive Manufacturing Conference (LAM), and the Lasers for Manufacturing Event (LME). The Laser Materials Processing, Laser Microprocessing, Nanomanufacturing, and Laser Additive Manufacturing Conference tracks will all be incorporated into the academic sessions of this event. Speakers will cover topics such as laser ablation, welding, cutting, drilling, deposition, cladding, additive manufacturing, battery systems/ energy conversion, and sensors/ LIDAR. In addition to dedicated academic sessions, each day will feature an industry specific trade show exhibition where sponsors and vendors can share their unique solutions to the industry’s problems. The daily trade show will also feature numerous panel discussions and presentations from laser end users on the challenges they face, and how laser technology may be the answer. “This conference is going to quickly be recognized as a leading event for anyone involved with lasers and photonics in any of these four industries,” says Andrew Albritton, LIA Business Analyst. Additional details will be released soon.